It’s tax season! I’ve seen a lot of my friends and followers on social media mention that tax season is like an adult Christmas. For many, I can believe that 100%. This time of year, many people use tax season as a moment to breath financially. Others spend, spend, spend and by March or April are back in crippling financial situations. You go out buy Iphones, spend money of going out to eat, buying clothes, and balling. Sis or brother, that’s not wise. I love you so I have to be honest. 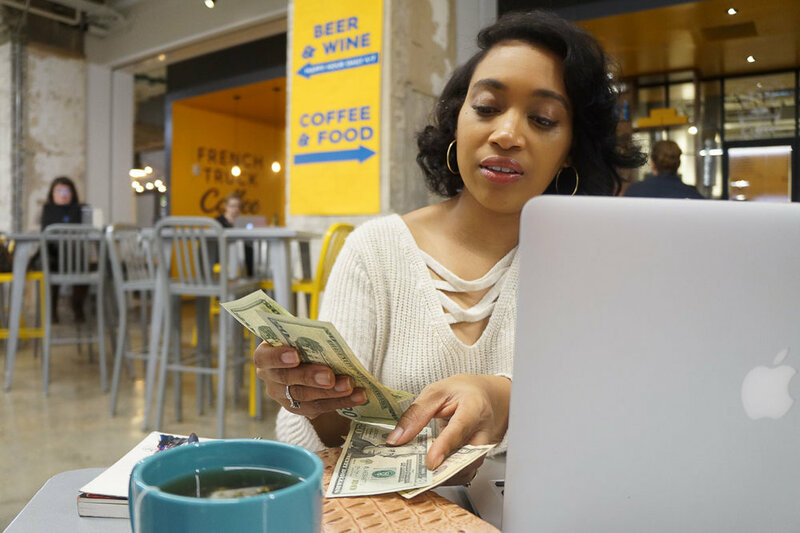 Here are a few wiser things to do with your tax refund to put you in a much better financial situation for the future and a rather quick breakdown of how you should spend your tax refund in percentages. I can’t begin to tell you how many people don’t have a savings account let alone an emergency fund. It’s scary. Many Americans realistically don’t have enough money set aside to keep them afloat in the case of job loss, sickness, or major repair to a car or home. And, you know what that is one of the reasons we are in debt and in the viscous payday loan cycle. When you get your refund, I suggest taking the first steps to start your emergency fund. Take 10% of your refund total and place it in a savings account that you don’t have access to. If you have joined our financial community, you are aware that one of our first and second quarter goals is to get a secured credit card. You now have extra money to bypass saving up for a credit card, use at least $200-$500 of your refund and secure a credit card. This allows you a head start on accomplishing your first and second quarter goals. Remember, only use 30% of the balance. That’s perfect because you shouldn’t have to max out that card due to extra money right now. Many people put off taking courses or enrolling in programs due to lack of money. I totally get it. However, to grow in your career or your business investing in yourself is one of your greatest assets. A tax refund is the perfect financial resource for you to elevate your career. Use your refund check to enroll in a continuing education course, purchase new software for your business or invest in a conference. Good thing is you may be able to write the course or the expense off on next year’s taxes. In 2009, I used my tax refund to invest in opening a business. It was one of the best financial decisions I made. I will tell you from personal experience though, DO NOT quit your current job to start your own business. This is the prime time to create multiple streams of income. Use your tax refund as seed money to invest in inventory, marketing and advertising or to pay for a designing a new website. It is not wise at all to go out and buy your kids electronics or material things that do not add value with your tax refund. Instead, setting up a savings account for them with maybe 5-10% of your refund gets them ahead and begins teaching them about money. You can also begin investing in their college education by setting up a 529 plan. Many of us are in detrimental financial situations due to how our parents relationship with money and/or the lack of them investing in our financial future. Don’t repeat the same mistakes if you don’t have to. Listen, death is real and unavoidable. No matter how much we plan our lives out, we don’t know when it will be our time. If you have children or married with a family, be responsible and love your family enough to protect them in the case you leave sooner than you think. Term life insurance policies are not that expensive and you can purchase an entire year worth of insurance for a couple of hundred dollars. Don’t have your family setting up GoFund me accounts and selling plates when you had the money to cover your funeral expenses and maintain your family’s lifestyle. Tax refunds are a major relief for some families that are sinking. Relieve some of the stress by paying your bills ahead by one month. You don’t have to pay them all up but at least cover a few line items to get your head above water. I would suggest either paying rent or mortgage ahead or all of your miscellaneous bills like cell phone, cable, utilities, insurance etc. HOW DO YOU PLAN TO SPEND YOUR TAX REFUND? I’D LOVE TO HEAR! Sign up with your email address to receive my FREE budgeting template.